I’ve been trying to knit more with my handspun as skeins move from being a finished project in their own right to knit-able yarn. The length of time for this transformation varies. For the skein that became Dotted Rays that was about a year and a half. Recently plied and freshly skeined, I had about 512 yards to work with. That’s about 200 less than the 700 required for a small Dotted Rays Shawl. I plowed on anyway with the thought that I could bind off at any time; the pattern is fairly forgiving that way. After blocking, the shawl was absolutely beautiful but it seemed small. Did the skein really measure 512 yards? Had I stretched the yarn when I was winding it? Did the yarn plump in the bath when I set the twist, gaining in diameter but losing length? Did plying twist affect the yarn differently after I set the twist in a bath? Had I just miscounted the wraps? There’s no way to know for sure now, but I have other skeins to put to the test. The guinea skeins you see before you were spun during Spinzilla 2014 which makes them perfect candidates. Since the challenge of Spinzilla is to spin as much yarn as possible in a week, I was meticulous in measuring the yardage of these 4 skeins. The kicker, the yardage was measured before I set the twist in a cool water bath and snapped between my hands. The plied skeins also got a few good thwacks on the shower wall. None of the skeins were felted or weighted during washing or drying. Check to see if the skeins still fit around the swift. 3 of the 4 skeins were wound to have a circumference of 72”. The fourth, the hot pink single, was wound to a 60” circumference. I used the same windmill-style swift that they were all wound on to remeasure. If a skein did’t fit over the swift, I loosely rewound it to its original circumference. If I stretched the yarn, I wouldn’t be able to get an accurate number. Count the number of wraps and do the math to get the new yardage. Did it fit on the swift? Nope. Notes: This skein wasn’t even close to fitting on the swift at 72”. Of the 4 skeins I measured, this one had the most drastic and unexpected before and after. Notes: Rewinding this skein was a trying process because I had to spend an hour untangling it. While sorting the strands, I thought it might not have fit because I didn’t put it on the swift correctly. After measuring and finding a 16 yd difference I know it wouldn’t have mattered how I put in on the swift. Notes: I can’t really pinpoint the exact reason this skein of Targhee didn’t lose the same amount of yardage as the first skein. It could be how the fiber was prepped and dyed, the length of my long-draw, or plying twist. Did it still fit on the swift? Almost. Notes: Compared to the plied skeins, the single lost very little yardage which I’m chalking up to how it was drafted and the fact that is was’t plied. The single was spun with a short forward draw from combed top which resulted in a smooth and dense worsted style yarn. Had the single been spun long-draw, my guess is that the lighter and airier yarn would have more potential to lose yardage while setting the twist. The lack of plying twist is probably the main reason the single only lost 5 yds. Plying compresses the singles as it wraps them together because now they’re positioned at an angle instead of a straight line. The numbers of my test are all over the place with one skein losing just 3.6% of its yardage and another losing 16.8%. What’s the same across the board though is that all 4 of the skeins “shrunk”. The skeins that lost the most yardage were plied which points to plying twist as the main force behind the change. Another possibility is that I simply wound the skeins too tightly around the swift and they relaxed to a much smaller circumference. There’s no way my yardage counts would have been correct if that’s the case. Realistically, it’s probably a bit of both. I haven’t done the best job of always loosely winding my skeins. Some I couldn’t put them back on the swift if I tried. I’m not saying this to discount how setting the twist changes the plying. Finishing a yarn affects its surface, diameter, final twist, workability, and, yes, even yardage. I wish I could just give you a formula to estimate how much a skein will “shrink” after setting the twist. That’s just not possible. I spun all 4 of those skeins in a week, 3 with similar methods, and none of them lost a consistent amount compared to another. Calculating how yardage changes after setting the twist is something that has to be done on a skein by skein basis. But is it worth doing every time? Probably not. So, what’s a spinner to do? Wind skeins loosely. Plied yarns with high twist are going to be stretchier than skeins with less twist. You’ll get a better estimate of yardage this way. Don’t take the measured yardage before setting the twist as a definite number. It’s a high estimate. Spin a sample. I’ll admit that I don’t do this but I’m usually not spinning for than 4 oz at a time or for a particular project. Sampling before before spinning a large quantity or because you want to make a specific kind of yarn lets you test your methods and figure out how much you need to spin. Spin more than you think you need. You might need those extra yards. When you’ve finally work with that one precious skein of handspun, pick a pattern that calls for less yardage than you have. This is assuming that you haven’t measured the yardage after setting the twist. Plus, there’s less chance you’ll run out of yarn 6” before binding off the last stitch. If you’re working with a lot of yardage, it might be worth using a McMorran Balance or a scale instead of counting wraps. Either device would let you calculate yardage by weight instead of relying solely on wraps and skein circumference. There’s no way to say this without relying on a host of cliches, so I’m just going to come out and say it. My hands sweat. Sometimes a lot which makes it hard to do things without messing them up. Half the time I’m writing with a napkin under my hand to keep my notebook from turning into a soggy mess. Damp hands make knitting almost impossible without a fan. 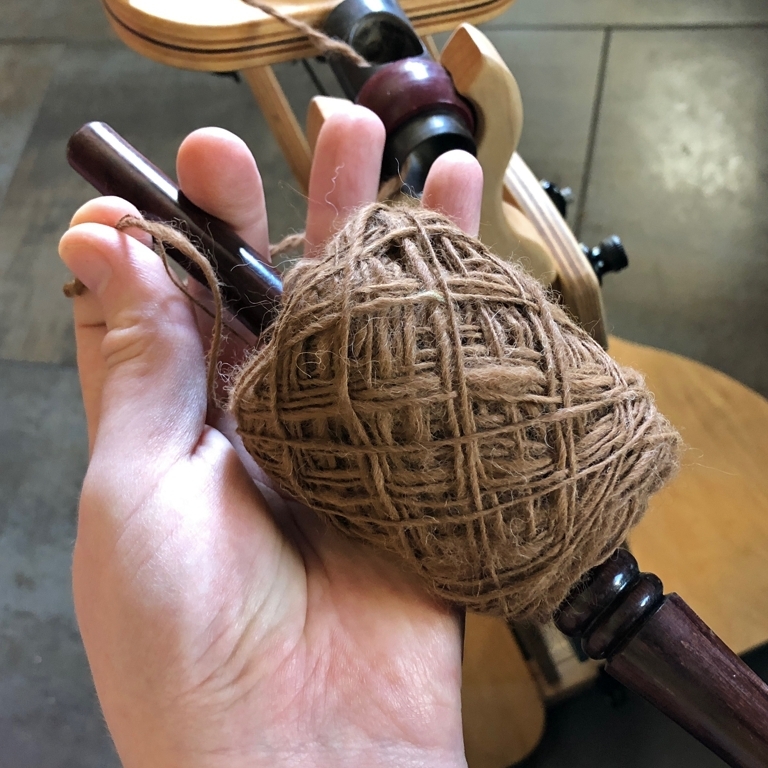 Spinning yarn, especially drafting singles, isn’t much easier, but I have stumbled upon a helpful trick to keep the working end of roving/top from turning into a mangled clump. Instead of holding the roving in my hand, I drape it across my fingers and palm. The tail of the roving is held between the bottom edge of my hand and my thigh. Since the bottom of my fiber supply hand is securing the fiber, those fingers don’t have to do anything. When I do have to use my thumb, it is inches away from the tip. Only the hand I’m using to draft touches the working end of the roving which keeps the fibers aligned in one direction. Holding the fiber this way still gives me plenty of to work with and keeps me from unconsciously putting a death grip on my roving. Since the fiber supply hand doesn’t move at all, this tip won’t help if drafting backwards or long-draw. So, stick with drafting styles that favor the forward hand. Also don’t forget the fan and a cold drink. Spinzilla is almost here and it kicks off 6AM on October 6th. If you’re on the fence about signing up, you can do that here, October 3rd is the last day. This is the last weekend to prep so here a few last minute tips and info to help you get the most out of Spinzilla. There’s a photo contest this year! There are catergories for Best Yarn Photo, Best Team Photo, Best Sheepzilla Photo Bomb, and Most Creative Spinning Spot. 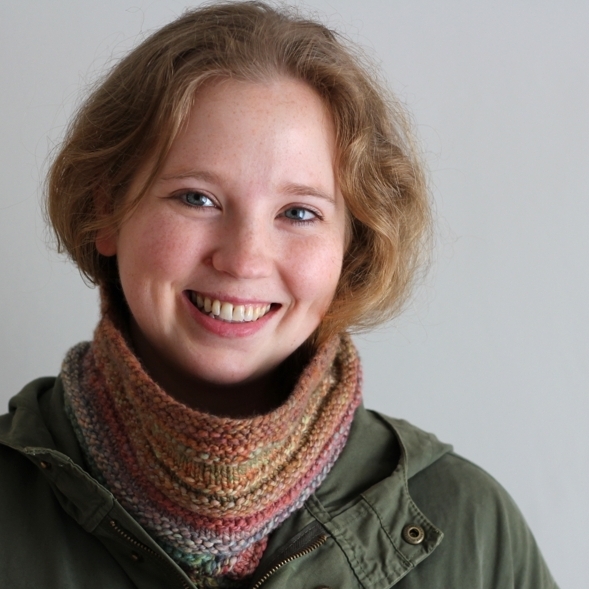 Gale Zucker has a few tips for taking the best photos of your handspun. Tips on prepping your wheel for the big spin. Beth Smith writes about how to prep fiber for the fastest spinning. How much fiber do I need? It depends.